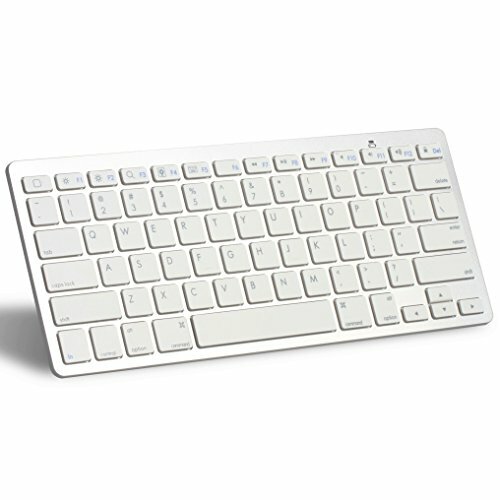 Magic Keyboard combines a sleek design with a built-in rechargeable battery and enhanced key features. With a stable scissor mechanism beneath each key, as well as optimized key travel and a low profile, Magic Keyboard provides a remarkably comfortable and precise typing experience. It pairs automatically with your Mac, so you can get to work right away. And the battery is incredibly long-lasting it will power your keyboard for about a month or more between charges. Fully functional to all four major operating system: IOS / Android / MacOS / Windows, and features system-specific function keys for each operating systems. Any Bluetooth supported devices such as tablet, smartphone can easily paired and gain quick access to common functions, such as volume level, playback control, copy paste text, and more. The whisper-quiet, low-profile keys bring a whole new level of comfort to your fingertips. What's more, keep all your most-used functions and media controls closer than ever Windows-dedicated hot keys. 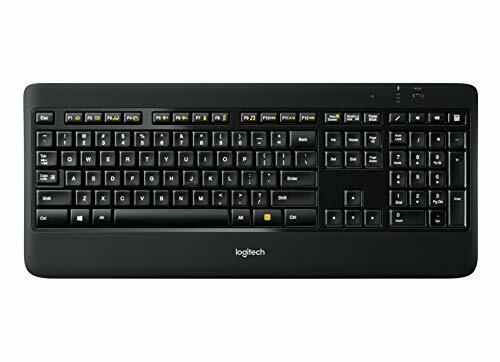 With laser-etched, backlit keys you can see easily in any light, a sleek look, and comfortable, fluid typing, the logitech wireless illuminated keyboard k800 delivers a brilliant typing experience-day or night. System Requirements: Windows XP Windows Vista Windows 7 Windows 8 Windows 10|USB Port|Internet access required for software download.|Software required for connecting additional devices with Unifying receiver.|Software available for download here. For Windows, Mac or Chrome computers, Android or iOS mobile devices. 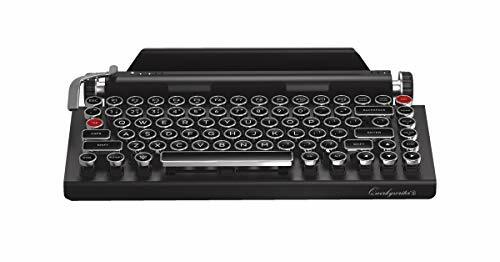 You can have it all with the new QWERKYWRITER S, the ORIGINAL Typewriter Inspired Mechanical Keyboard. Unmatched in its aesthetic design, the QWERKYWRITER S easily is one of the most stunning devices you will ever own. But don't let that distract you! The new QWERKYWRITER S is jam-packed with industry leading features and patented design you won't find anywhere else. 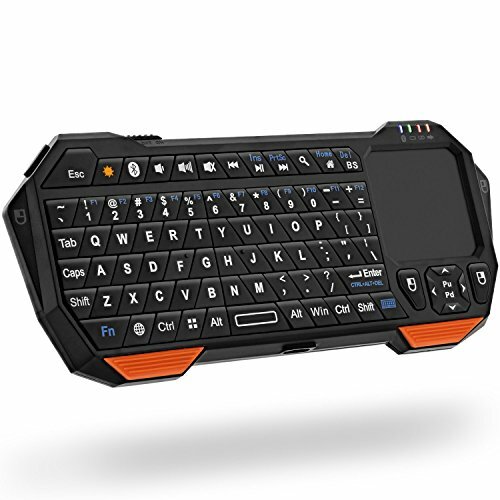 Portable QWERTY Keyboard with Touchpad Innovative and compact QWERTY keyboard with touchpad that provides comfort with the freedom of wireless connectivity. Connect to any devices with this wireless keyboard. Navigate the cursor easily with your thumb without having to touch your screen, mouse or keyboard. Excellent for browsing, searching or streaming on a smart TV. Gamer can use to play video games on tablets/laptops or smartphones. Note: Touchpad will NOT work with iPhone and iPad. Bluetooth 3.0 Working range of approx. 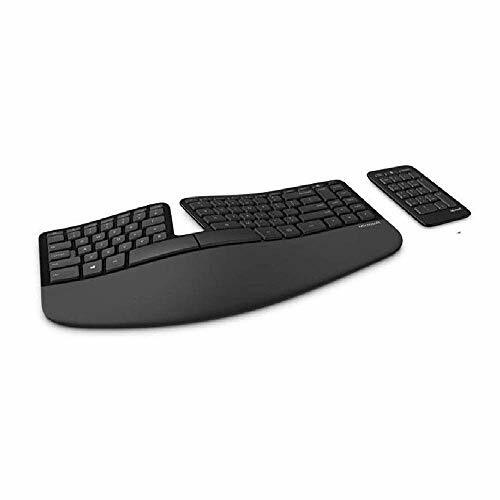 33ft/10m, easily connect and control bluetooth devices with this wireless keyboard. Long Lasting Rechargeable Battery Built-in rechargeable lithium-ion battery with up to 10 days of continuous working time and up to 50 days of standby time. Included USB cable. Backlit Keyboard The convenient backlit keyboard is perfect for using in a dark environment. Warranty: International Version (No Warranty). See US Version for warranty. 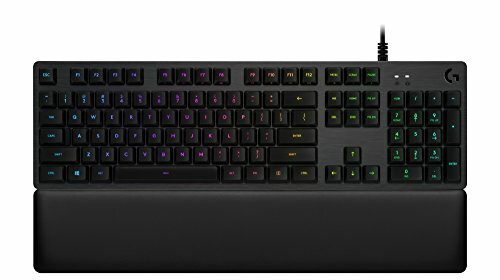 The CORSAIR K70 RGB MK.2 is a premium mechanical gaming keyboard built to last. Equipped with a lightweight durable aluminum frame and 100% CHERRY MX gold-plated contact key switches, it boasts the reliability and accuracy you demand. Powerful CORSAIR iCUE software enables sophisticated macro programming, vivid dynamic multicolor illumination and full-system lighting synchronization. With 8MB of dedicated onboard memory and hardware playback, you can take all your settings with you. 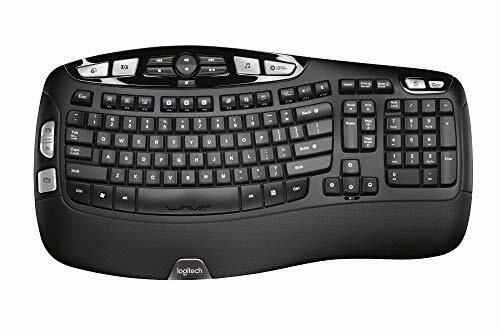 A host of extras put your PC at your fingertips, with USB pass-through, dedicated multimedia controls, a detachable soft-touch wrist rest and textured FPS and MOBA keycaps making it easy to play your way and minimize interruptions. It's the most amazing K70 keyboard yet. Turn your iPad into a laptop in one click. Well-spaced keys and iOS shortcuts make typing fast and comfortable. Slim folio locks your iPad at an optimal angle for typing and holds firm on any surface from a desk to your lap. Slim design fits perfectly and protects iPad from bumps, scratches and spills without weighing you down. Easy setup, a reliable Bluetooth LE wireless connection, and long lasting battery life make the slim folio an indispensable tool for iPad. 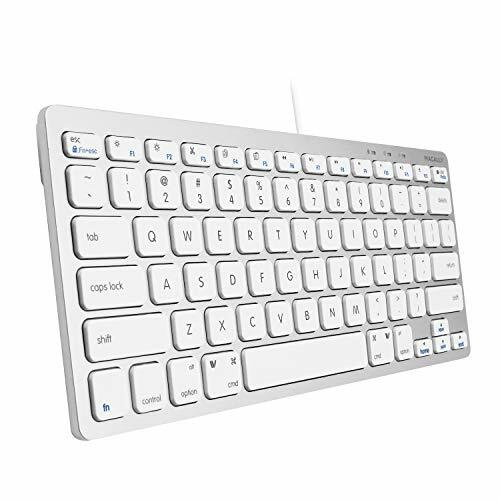 The Apple Keyboard is an elegantly designed input device that is sure to turn heads. 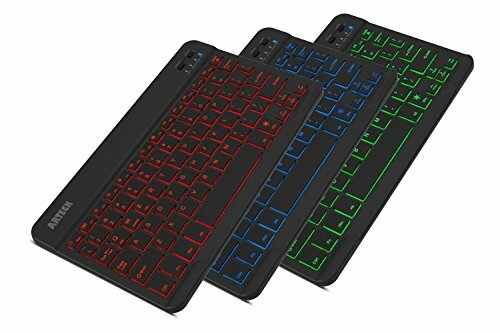 It features a standard QWERTY layout, dedicated OS X function keys, an integrated two-port USB 2.0 hub, and an ultra-thin anodized aluminum design. The keys themselves are of the low-profile variety, practically identical in feel and function to those found on Apple's MacBook line of notebook computers. Please notice that we don't provide a charging cable, please use your ipad pro 11 inch charging cable to charge the keyboard case. This Wireless keyboard case is a perfect combination for your Apple iPad Pro 11 tablet. It is great for the traveling business person, student, and everyone else in between. 1. The backlight feature on the keyboard is easy to use and effective. Great for work and entertainment while travel or carry around at home. 2. 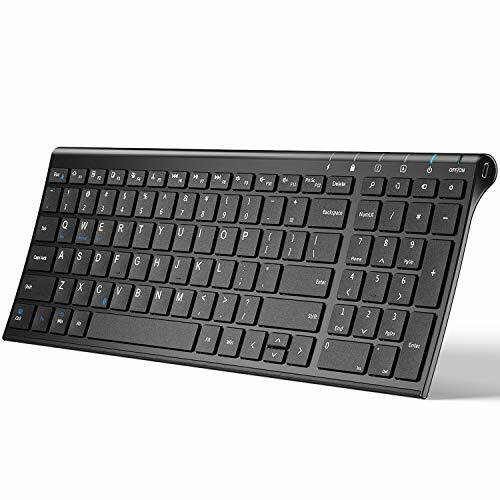 Wireless keyboard is responsive and can rotate 360 degree, you can adjust the viewing angle as you like. microphone and cameras without having to remove the cover, even when you are charging the tablet. 4. Special function keys: Sleep/Lock/Slideshow/Home/volume and more. 1.Please fully charge the keyboard and turn it on, the light comes on and then goes off. 3.Go to your iPad settings, click on BT and look for the keyboard. 4.Click on the keyboard and it will connect. 2. To connect the wireless, please Charge the keyboard first. 3. After being connected, please don't press the Fn+C again, press any key on the keyboard to wake the bluetooth function up. 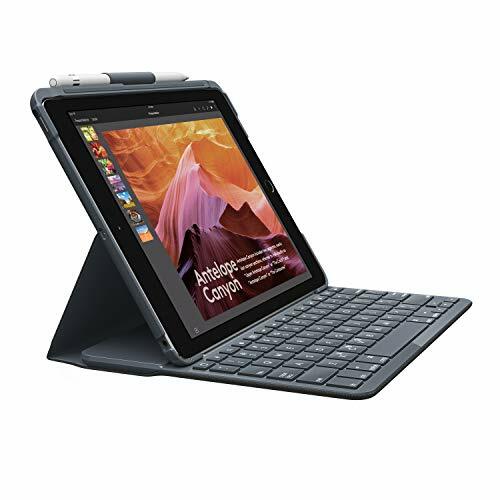 [GREENLAW iPad Pro 11 inch Keyboard Case] - A stylish finish with high-quality makes our keyboard a uniquely ideal for home, work & travel. The quiet keyboard's spacious layout & 18 backlight colors provide the freedom to read, browse & work anywhere at any time. The case is Specifically designed for iPad Pro 11 inch 2018 release tablet (Model Number: A1980/A2013/A1934). Seamlessly supports Wireless Charging for Apple Pen 2nd Gen.
[17 Colors Backlit Wireless BT iPad Case with Keyboard] - 7 pure color backlight, 10 tricolor backlights, 1 backlit breathing mode, 3 kinds of brightness adjustment mode, make the keyboard more stylish when used, and also facilitate keyboard operation in dim lighting, it can also bring you different visual enjoyment and comfortable typing experience. Multiple colors give you the freedom to choose what you like. 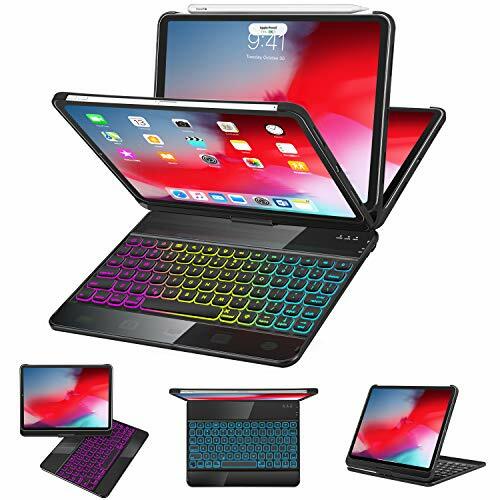 [Super Slim Design iPad pro 11 inch Case with Keyboard] - Adds maximum protection with minimal bulk, perfectly makes the ipad 11 keyboard case more meticulous refinement elegant and easy to use. Transform your iPad 11 into a laptop in seconds. cissors structure keys make you type fast and silently. Comfortable typing wherever you use your iPad. This ipad 11 case with keyboard is ideal for business, working and school environment. [iPad 11 inch Auto Wake and Sleep Keyboard Case] - Once you open or close the iPad cover, your iPad would automatically wake up or sleep. Precise cut-outs and openings for iPad 11 Inch with easy access to all tablet features and give your ipad full protection to keep your iPad free from scratches, dust, wear and tear. Free 12-month manufacturer's warranty can give you peace of mind about your purchase and assurance that a great team is ready to help every step of the way. Take your game to a new level with Logitech G513, a high performance RGB mechanical gaming keyboard that features advanced technologies in a modern and sleek design. Romer-G Linear mechanical keyswitches deliver super-fast 1 millisecond responsiveness from keypress to screen 25 percent faster than competitor's traditional mechanical switches. Tactile mechanical keyboard switches are engineered to give you direct feedback so you feel the actuation point in each keypress. Customize full-spectrum RGB lighting for any or every key from 16.8 million brilliant colors. LIGHTSYNC technology takes the lighting experience to a whole new level with game-driven lighting colors and effects. A USB passthrough port makes it easy to plug in your mouse, flash drive or phone for direct data transmission or charging. The aluminum alloy top case enables a bladelike chassis with a beautiful brushed metal finish while the durable Memory Foam palmrest keeps your hands and wrists comfortable and in the perfect position to tap keys with lightning fast accuracy. 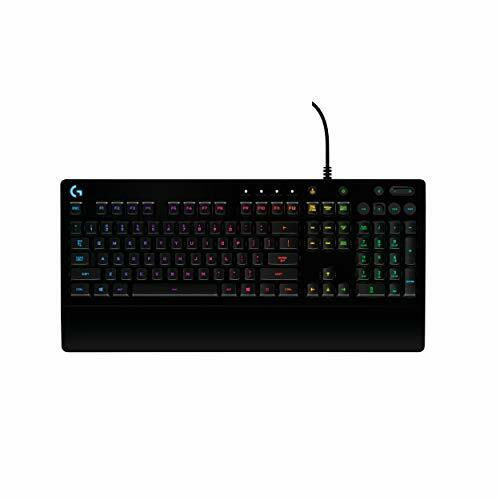 Use Logitech Gaming Software to easily program a full row of Function keys to put lighting, volume, media control and more at your fingertips. membrane switches which only activate when they' re full-pressed, which to ensure great ergonomics and comfort. The Bluetooth keyboard offers a combination of durable keycaps along with switches that will last for up to 3,000,000 key presses. Larger keys as well as more space between keys help maximize preciseness for a higher quality typing experience. Windows, and is equipped with shortcut keys for all four systems. when you're working at the coffee shop. ERGONOMIC DESIGN & EXQUISITE APPEARANCE -- The iClever Bluetooth keyboard is constructed of the best-in-class stainless steel and ABS, includes feet that keep it at an optimum slope, which will prevent your wrist from hurting while long sessions of typing. A stylish black colorway gives out sophisticated and attractive appearance to it. The key-set and fabric are matte finished and spill-resistant, helping protect your Bluetooth keyboard against greasy feeling and those sudden coffee accidents. 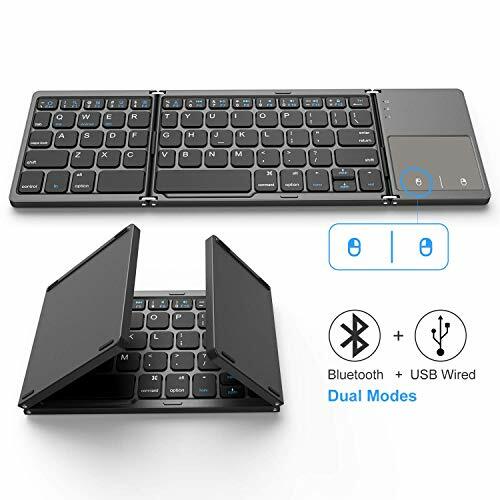 STABLE BLUETOOTH CONNECTION & HIGH COMPATIBILITY -- Pairing with your devices seamlessly with the inbuilt Bluetooth technology, the wireless keyboard will keep your desktop clutter-free. The Bluetooth keyboard offers great versatility and portability, and automatically connects to your previously connected devices on your next session of typing, making it a perfect choice for iPad, iPhone, iMac, MacBook, Laptop, PC, Tablets, Smartphone, Windows, IOS, Mac OS, Android. 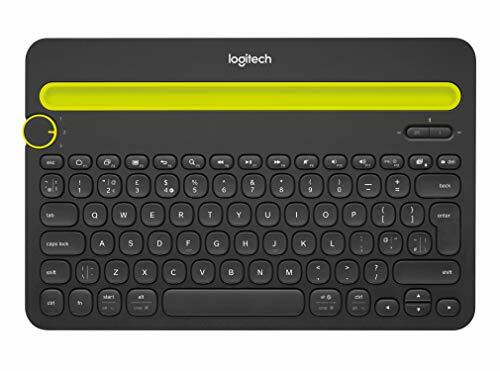 RECHARGEABLE BATTERY & ENVIRONMENT FRIENDLY TECHNOLOGY -- An incredibly long-lasting rechargeable battery is housed in the Bluetooth keyboard, which delivers up to 90 hours of continuous typing on a single charge. It features environmental protection power saving function to cut back on unnecessary energy usage, which takes the keyboard to sleep after 30 minutes of inactivity. 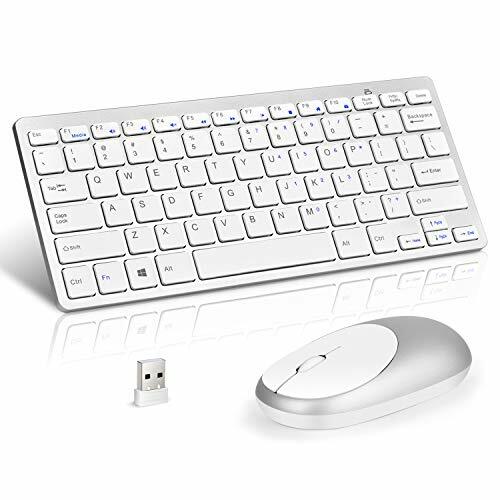 FULL SIZE & ULTRA-SLIM KEYBOARD -- The iClever wireless keyboard is full-size design and includes numeric keypad which makes typing easier and more comfortable than other keyboards. Its layout is industry standard which features hot keys like Copy, Cut, Paste, Play, Pause, Volume up/down, helping you to increase your workflow and productivity. The wireless keyboard's slim design (14x4.9x0.15 in) ensures that it can be tucked easily into a backpack or the secondary pocket of your laptop's bag. Are you still worried about dealing with work on the trip? This folding keyboard is the best companion for your travel. You can typing quickly and easily. RECHARGEABLE BATTERY & EXQUISITE WORKMANSHIP: Built-in rechargeable battery is more energy efficient. Just two hours of charging, standby time is up to 560 hours. Aircraft grade aluminum for excellent stiffness. It is very durable and has the ability to resist bumps. Sturdy and handy at the same time! you are able to use the combo for seconds. The USB Nano receiver connects both the cordless keyboard and mouse. and click any key to wake-up in several seconds. after a replacement of the batteries(Note: batteries are not included). The low battery indicator light will flash when the batteries are running down. (The multifunction key is not available in Mac OS). Fit for desktop, PC, tablet, smart TV. Reliable Connection 2.4 GHz wireless connection, up to 33ft, Plug & Play, no driver required. The Nano USB receiver is inserted inside the mouse. Quick React Scissor Mechanism key goes down and bounces back with a crisp motion.Elegant optical mouse, quieter and more precise. One USB receiver connects both mouse and keyboard. Wide Compatibility Compatible with Windows XP /7/8/10/, Vista 7/8, Linux desktop, laptop, tablet, smart TV. It can be used in office, school and house. Power Saving Low power consumption and auto sleep mode. (keyboard: 2 x AAA batteries, mouse: 2 x AAA battery, batteries not included) 12 months warranty guaranteed.